Through the years I&apos;ve seen many would-be voyagers spend years of hard labor and countless dollars preparing boats to fulfill their dreams. Far too often, reality overcomes the dream. By the time the boat was ready, if it ever was, the people were exhausted, out of money, broken in spirit and had to walk away. Or they went to sea and found the experience to be so daunting, so unlike the romantic tales in books and magazines that they had to admit to themselves that it wasn&apos;t a life they wanted to live. But there are success stories and this is a great one - a story where a dream, well earned, came true. Four college friends started talking about it several years ago. They were students at Washington and Lee University in Virginia, graduating in 2003 and 2004. After college they went different ways, working successfully in various jobs. But they kept in touch and the dream was born. The dream was to restore an old boat - make it ocean tough - then go cruising, maybe around the world. Jesse Smith, 28, is the skipper. He was born and raised in Newport News, Va., and graduated from college in 2003. In 1986, his dad, Herbert Smith, bought a 1982 Skye 51 named Obelisk and his family cruised extensively through 1990. Voyages included trips to New England, the Bahamas, the Florida Keys and Bermuda. The family continued to sail Chesapeake Bay and other local waters after they returned to shore for Jesse&apos;s high school and college years. 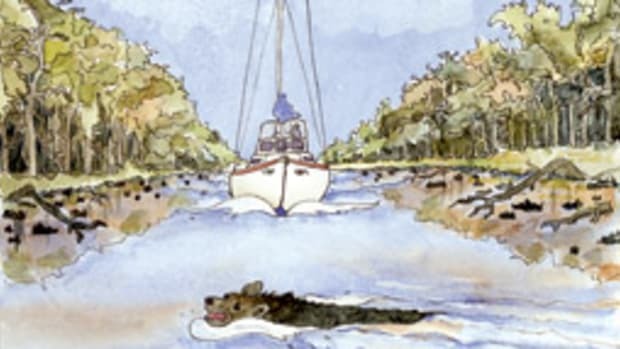 As time passed, Jesse began to realize how much he missed being on the water, so he was ripe for the suggestion that was to come. It came in a telephone call from friend Rob Burnside. After various jobs and much travel, Rob had decided what he really wanted to do at that stage in his life was to sail around the world. Rob and another of the friends, Willie Thompson, started talking about the idea. Remembering Jesse&apos;s background, they gave him a call. At first, the discussions were casual, but they got more and more serious, ultimately developing into conference calls, some lasting two or three hours. The talking continued and the plan developed, with the basic concept that they&apos;d do it right as to the boat and seamanship, working as needed along the way. Jesse&apos;s cousin, Matthew Smith, now 29, heard about the idea and asked to be included, at least for part of the way. 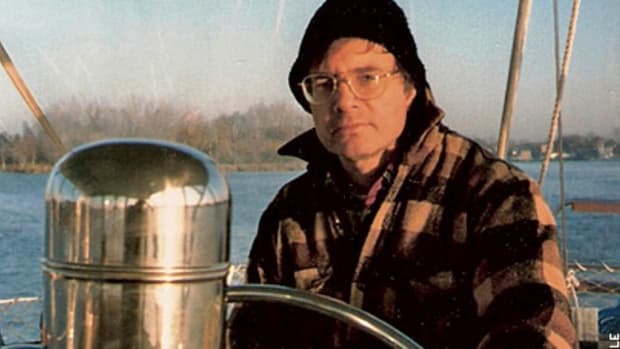 He&apos;d already had extensive sailing experience aboard Obelisk, having grown up with Jesse in Newport News. 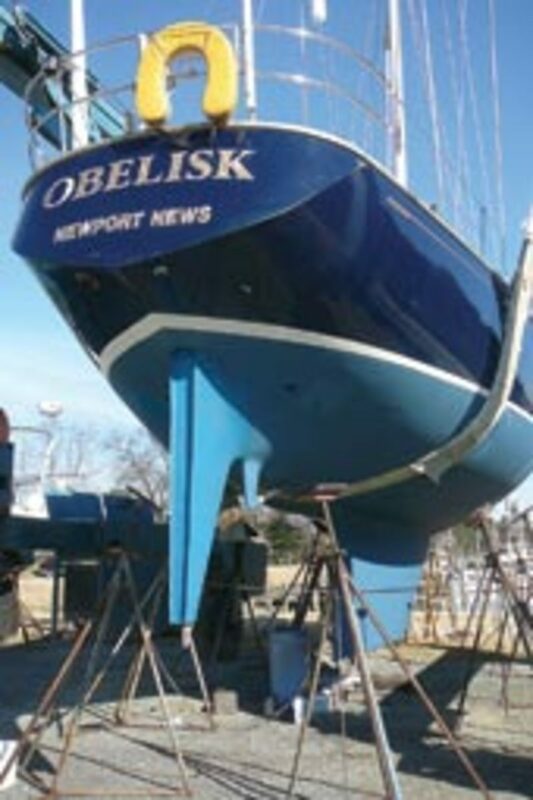 Jesse knew Obelisk and that she was basically a tough boat, although in need of much work. 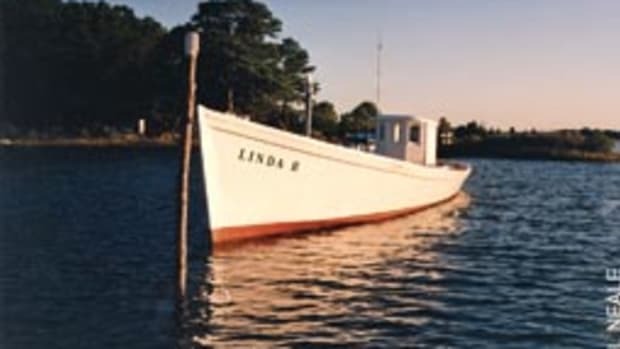 He acquired her from his father and in January 2008 the young men all moved to Gloucester, Va., where the boat had been based most of its life. They began the job of restoring her to once again be a boat fit for crossing oceans. 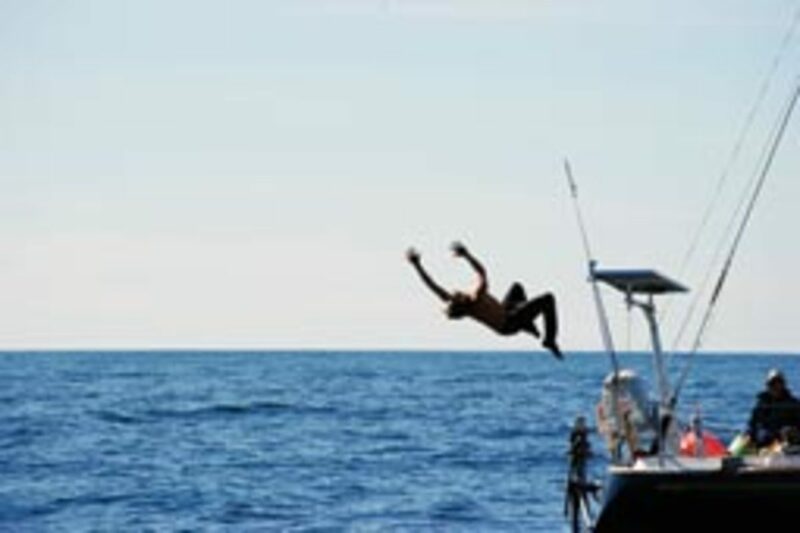 One of the first - and seldom anticipated - problems when a group of people crosses oceans on a sailboat is compatibility. Put a few people together in tight quarters under stressful conditions and veneers often fall away, letting the true characters show through. These guys figured that out from the beginning. When they moved to Gloucester, they began sharing a very small cottage near the boat. "About as big as the boat itself," explains Jesse. As for the stressful conditions? They began working feverishly on the huge project of rebuilding the boat to get it ready while also working "gainful employment" jobs to support themselves and their adventure. Jobs included working as a cook, tending bar, waiting tables and anything else that came along. They collected scrap metal by helping a neighbor clean out his garage and rummaging around marina junk bins. They sold this for the staggering sum of $1,000. They established a bank account and appointed a purser to keep track of their joint funds and expenses. They told me that shortly before their planned departure in January 2009 they&apos;d spent approximately $50,000 to get the old boat ready. But the dollar amount barely reflects the true expenditure, which was in blood, sweat and tears, as well as intelligent planning, figuring things out and amazing perseverance. The four did almost all of the work themselves. The project was staggering. Near the beginning they installed a generator. They found a used one in Annapolis, Md., took a road trip in a pickup, loaded it in and brought it back to Gloucester. However, the 400-pound generator wouldn&apos;t quite fit down the cockpit hatch into the engine space. Using block and tackle and rigging on the main mast, they lowered it down the main companionway to waiting greased boards and slid it aft to the engine space. Then they carefully muscled it into a home beside the main engine and hooked up the wiring, seawater hose, exhaust and fuel lines. Next, they turned to the 11 Barient winches. These are extremely important on a large sailing boat. Winches have ball bearings, cogs, gears, springs and a multitude of little parts that can fail as they are stressed and subjected to salt water through the years. If they fail at the wrong time, the results can be disastrous. The crew disassembled the winches, cleaned and greased them, and replaced parts as needed. The two primary winches needed new bases, which were aluminum and had severely corroded. Barient was bought out by another manufacturer and the price quoted for the bases was $800 each, plus shipping. So they took the old bases to a local machine shop and had new and much-improved ones built for $500 each. The anchor gear is yet another critical piece of equipment that suffers much abuse from the elements. They took on an all-chain rode, crucial for serious cruising. They also replaced their ancient windlass with a new Lofrans model. They couldn&apos;t use the same holes in the deck, so they cut and fit wooden plugs to fill each hole, glassing them in place and filing all voids with appropriately thickened WEST System epoxy. They then cut new holes in the now-solid foredeck, shaped a phenolic base to fit the curve of the deck and mounted the new windlass. They found a yard that could haul the 44,000-pound boat and began working on the bottom. The first day of scraping netted 35 pounds of old paint, and this was from only 5 percent of the hull. They estimate that there was around 700 pounds of paint removed in all. This not only would improve performance, but it made the boat lighter, allowing for more storage of provisions and parts. Removing the old paint revealed around 300 small blisters, none of which were deemed serious. They ground out each one and let them dry for two months. Then they filled each with WEST System thickened with 406 filler, painting them over with an epoxy barrier coat. After this, all were sanded until fair. The sanding job alone took three days. They also replaced the electronics. This type of equipment changes so rapidly that many prefer to buy electronics just before leaving, but the crew wanted to be able to make practice cruises as they worked. Besides, it&apos;s fun to shop for electronics, though it&apos;s often far less fun to install them, as was quickly discovered. The first obvious problem was that the old electronics panel was useless because its holes were sized and positioned for the former instruments. So they made a new panel out of half-inch birch plywood laminated with black Formica and finished with a varnished trim. Then they cut holes for a new chart plotter, VHF radio and Raymarine ST60 instruments. As painstaking as the panel fabrication may have seemed, the job was nothing compared to that ultimate electronics installation headache: running the wires. This involved snaking cable down the mast, splicing cables and running them through the boat. They also mounted a radar dome - hanging from the mast in a bosun&apos;s chair as they drilled holes in that mast to mount the dome and then snaking the heavy radar cable down the mast and back to the display. The old SSB unit was retained, but all the copper strapping was replaced. 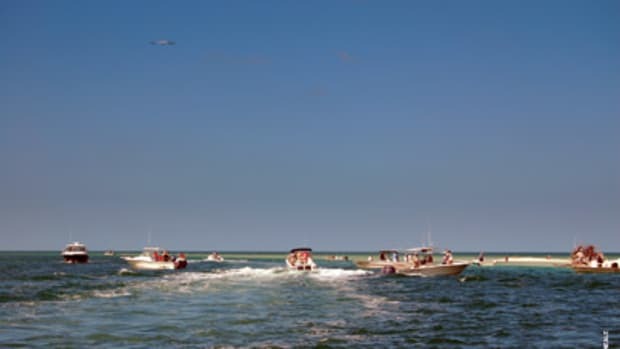 This invariably deteriorates on a boat because of its exposure to salt air and water. Obelisk was fitted with approximately 125 to 235 square feet of copper for the SSB. This is crucial for good transmission. Next came another nightmare project. When the Skye was built, it was popular to overlay a fiberglass deck with teak. This made it "pretty," gave it a tough look and provided a non-skid surface (unless varnished). Through the years, however, many of these decks have caused serious problems. The thin teak strips usually weren&apos;t just glued, but also screwed into the underlying fiberglass, with black caulking between the strips. The caulking would fail, allowing water to seep under the strips. Worse, water would seep past the screws and down into the deck&apos;s core area, causing delamination and weakening. The leaks often would find their way into the accommodation and storage areas below. The decks of the Obelisk were cored with Airex foam, making the likelihood of core rotting far less likely than it would have been with balsa. However, the crew knew that with water expanding and contracting from heating and freezing through the years, the decks still could have weakened. So they set to work on a job that took more than three months. They stripped off the old teak, removing the screws - a mean task in itself. But each screw left a hole in the deck into the core; they estimate approximately 4,500 of them. They drilled out each hole with a bit larger than the hole and, using a syringe, filled each void with epoxy. This permeates surrounding core and can seal the holes effectively. Stripping the teak left 3/8-inch voids between the fiberglass deck and toerails, hatches and other structures. They cleaned the debris and old sealant from these voids with a Dremel tool and filled them with WEST epoxy, thickened to the consistency of peanut butter. They then sanded for days until they were satisfied they had contoured the filler to perfection. They also removed every fitting that had been bolted through the deck, a project that took about a week. 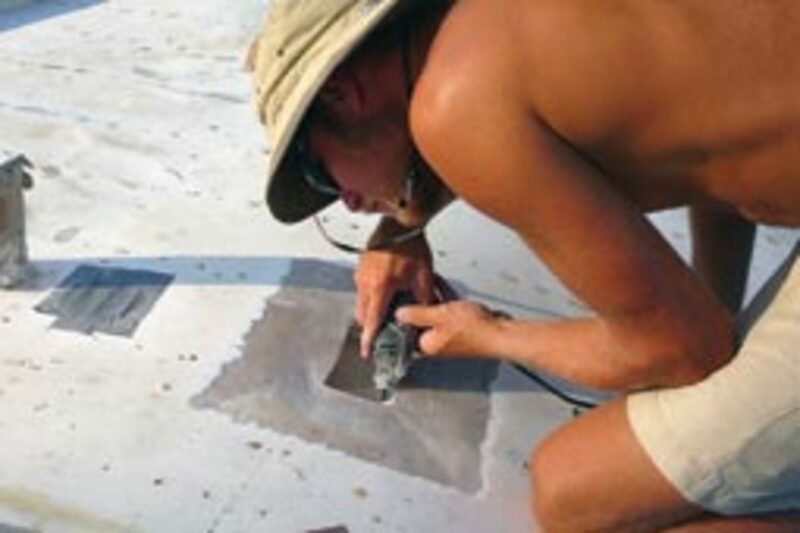 They routed out each bolt hole, checking for water damage in the coring; sealed the hole through the bottom layer of fiberglass; and refilled each hole with WEST epoxy and 404 filler. They routed out the coring around larger holes, such as those for the windlass, and smeared WEST resin with filler (thickened to the consistency of peanut butter) into the voids between the upper and lower layers of fiberglass. With the old holes filled and no longer cored, they drilled new holes through the now-solid mounting areas so that the deck fittings aren&apos;t based on cored deck and there&apos;s no chance for water to seep into coring. They then reinstalled all the deck hardware, which took another week. When there&apos;s a void in a cored deck, you can usually find it by pressing on the deck and by tapping it and listening for different sounds. With some practice and careful checking, you can decide what spots need attention. They found one and drilled a grid of many holes into the top layer of glass, taking care to not puncture the bottom layer. They let the area dry for a week and then injected WEST epoxy and filler. They also removed skylights that had always leaked and fashioned plugs for the holes, filled in voids with thickened epoxy and made a solid deck where the skylights had been. After other repairs, they sanded the deck and applied two coats of primer and two top coats of Awlgrip. They cut templates of roofing tar paper - which can take a lot of abuse - to determine exact sizing and placement of the new 2-by-4-foot Treadmaster sheets. These were expensive, and the crew wanted to be sure they cut them precisely. Only then did they epoxy on the non-skid Treadmaster. Using rollers, they flattened out the sections, carefully cleaning epoxy that squeezed out from the edges. When you&apos;re restoring an old boat, there&apos;s a lot of work that is not only difficult and time-consuming, but also downright unpleasant. So it was with dampened (but undaunted) enthusiasm that they early on tackled the job of rebuilding each head and then repainted the heads and head compartments. And for a week-and-a-half, they replaced all the hoses on board. Old hoses below the waterline are often lined with steel wire within the layers to keep them from crimping and to provide support. And with passage of time, all hoses become stiffer, some to the point of rigidity. Pulling these hoses through the holes in bulkheads is a very difficult process that involves at least two people, one pushing and the other pulling, both usually working in spaces designed to be inhabited by nothing larger than a cockroach. And, of course, some of these hoses still have bellies full of stuff that you&apos;d just as soon not have run out. But it always does, usually in a rather personal manner. And, of course, you&apos;ve got to do all it again with the new hoses. 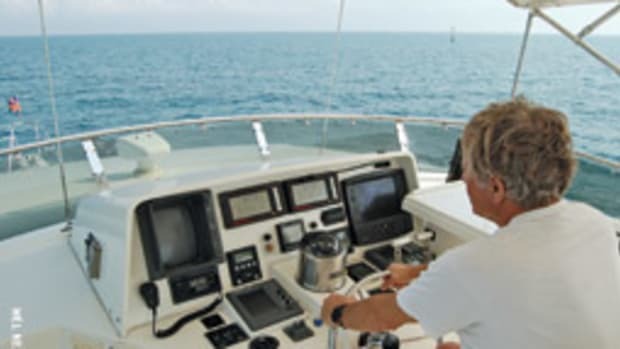 Installation of an autopilot, while a bit more satisfying, also involves work below deck. It&apos;s important to mount the driving motor in such a way that it can be connected to the rudder within parameters that won&apos;t allow wandering or allow a disconnect, such as a chain jumping off sprockets. Hydraulics are often the preferred method, but in this instance there was a mini-quadrant for the old chain-driven unit, so they used this for the new unit and had a bracket made to mount the drive. This was far less expensive than converting to hydraulics. Other jobs included rebuilding all of the boat&apos;s hatches, installing new saloon port lights, rebuilding the companionway hatch, new lifelines, restitching sails, adding a new stuffing box for the prop shaft, having the Martec folding prop rebuilt, adding a new Force 10 European Compact two-burner stove with oven and broiler, replacing the bilge pumps and adding new Rolls batteries for a total of more than 400 amp hours. A 75-amp alternator and a Newmar battery charger (for use with the generator or shore power) provide charging. One important blessing was that the original Perkins diesel had been replaced and the replacement engine was working well. They acquired a sat phone for emergency calls and limited e-mailing, and an ACR 406 EPIRB with GPS. They would be able to download weather and GRIB weather maps using the services offered by Ocens on the sat phone. The SSB was too old to support a Pactor modem to receive weather products, so they purchased Mscan Meteo software for downloading weather information in the form of faxes, NAVTEX, RTTY and GRIB files to a computer, via the SSB. They also had a six-person life raft. In addition to the restoration work, they also took a few short cruises to get the feel of the boat and of themselves as crewmembers. They took a trip around the Delmarva Peninsula in January 2009. At this time of the year, this trip can be a good test. Just before departing for the Delmarva circumnavigation, the hydraulic backstay tensioner ruptured a seal, requiring more parts and work. Despite the backstay malfunction and their insistence on the shakedown cruise, they started their world cruise only a little later than expected. Obelisk draws 7-1/2 feet and has a 70-foot mast. This means it can&apos;t head down the East Coast in the ICW. Sailing down the East Coast outside in the winter can be treacherous. 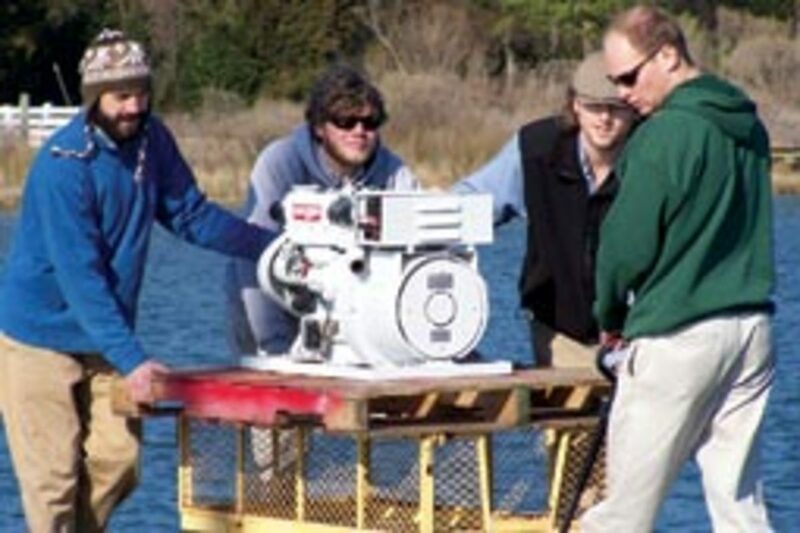 They closely watched the weather and, on March 18, 2009, left Mobjack Bay in the Chesapeake and sailed out into the Atlantic between Cape Charles and Cape Henry. They headed south around Cape Hatteras, N.C., continued on to clear Cape Fear. This area is known as "the graveyard of the Atlantic," and for good reason. 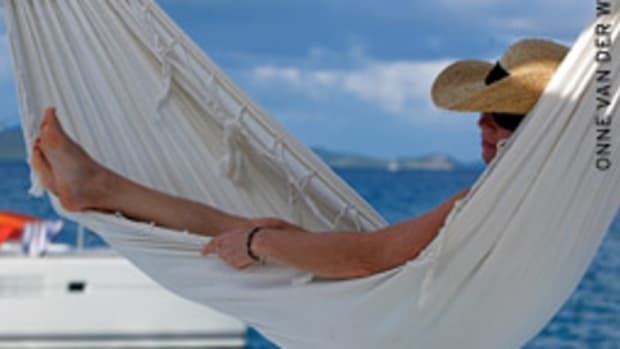 They eventually reached the Caribbean and, after enjoying this cruising area, they departed Grenada in early June 2009. They were bound not south down eastern South American, as had been planned, but easterly across the Atlantic. Jesse explains that political unrest, wind directions and a desire to see Gibraltar and that part of the world contributed to the decision. Eighteen days later they made landfall at Horta on the island of Faial in the Azores. They&apos;d had six days of calm, a series of storms and, overall, a fun and successful trip. From there they sailed to Gibraltar in search of a repair for a damaged shroud and a better tender. After accomplishing those goals and spending tourist time, they headed south to the Cape Verde Islands, with other stops along the way. From there, they headed back across the Atlantic, bound for Brazil. Sailors on this passage fear the doldrums, long periods of windless days and nights and stifling heat. But nature helped in the form of a tropical depression, later to become Hurricane Fred. The storm began to close in as they lay at anchor in Brava, where it would have been dangerous to remain. They had to leave and soon were at sea in 45-knot winds. But the outlying winds from this storm saw them across the equator in cool weather and good winds. However, only a couple of hours out of Brava the planetary gear of the autopilot failed. 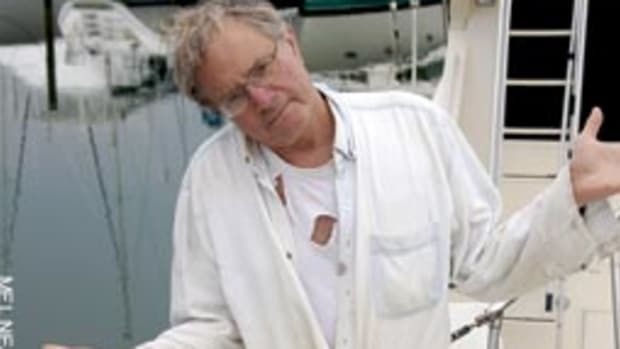 It wasn&apos;t repairable at sea and they were certain it couldn&apos;t be repaired back in the Cape Verde Islands. By this time, only Jessie and his cousin, Matthew Smith, were aboard, the other two having returned to the States. No one had signed on indefinitely, and even at sea issues from home waters still exist. These two guys had to manually steer 2,500 miles across the Atlantic to Salvador, Brazil. They did it and were on the other side in 15 days. It was a fast trip as sailing goes, but a grueling one because of the failed autopilot. They then visited various ports, including Arquipelago dos Abrolhos, Rio de Janeiro, and the "cruising capital of Brazil" Bahia Ilha Grande. In Buenos Aires, Argentina, they replaced more gear, and although the autopilot was to be repaired under warranty, they added a windvane - something they&apos;d wanted from the beginning, but hadn&apos;t been able to afford. 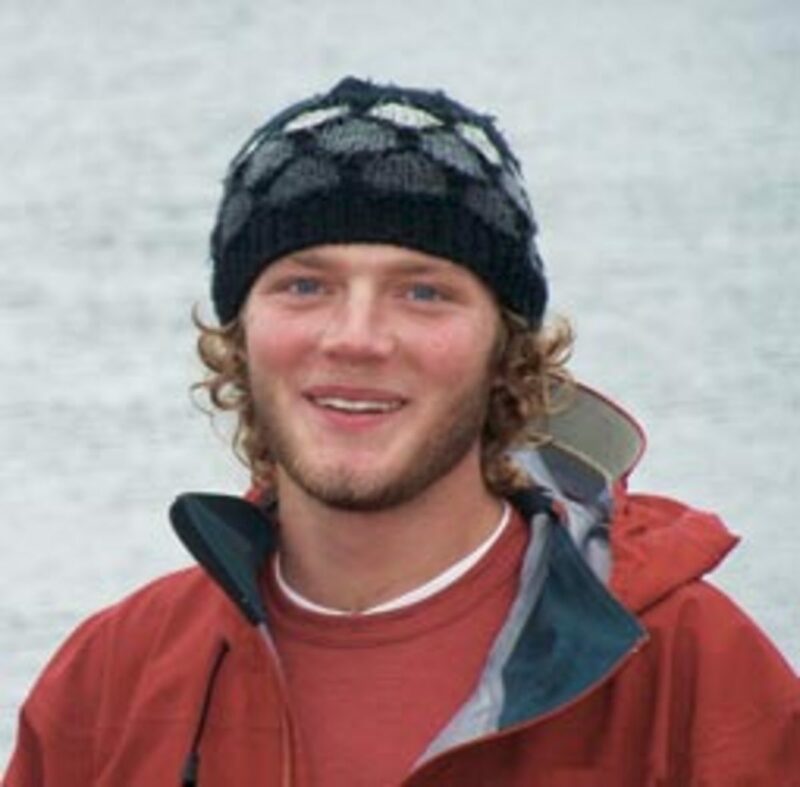 Here, Matthew returned to the States, as planned, to pursue a master&apos;s degree. Jesse needed crew - good crew, tough crew, crew he could trust. He called his dad and godfather. It was a no-brainer: They flew down on New Year&apos;s Day 2010 and joined ship. Obelisk headed south toward the bottom of the continent. The Le Maire Strait was a major concern. With wind against tide, 30-foot standing waves can develop. They timed it well and came through like a slingshot doing 10 to 12 knots over ground. But as soon as they turned the corner of the tip of Tierra del Fuego they got hit in the face by 50 knots of wind. The next leg took them into the Beagle Channel, where they found williwaws blowing off the mountains at 35 to 50 knots. In these conditions they were afraid to work their way into any of the small caletas (coves, often fiord-like) where they could have anchored and rested, so they kept on trucking under power. They soon were in the spectacular cruising grounds of southern Patagonia, at the bottom of South America, where they explored for about six weeks. They cleared into Chile at Puerto Williams and used the "Micalvi Yacht Club" as a staging base for what Jesse describes as a "side trip" around Cape Horn. Called the "southernmost yacht club," it is an old ship now resting on the bottom. Boats tie alongside, rafting out. It was blowing 15 knots when Obelisk went around the Horn from west to east Feb. 17. The day was so nice they were able to go ashore. 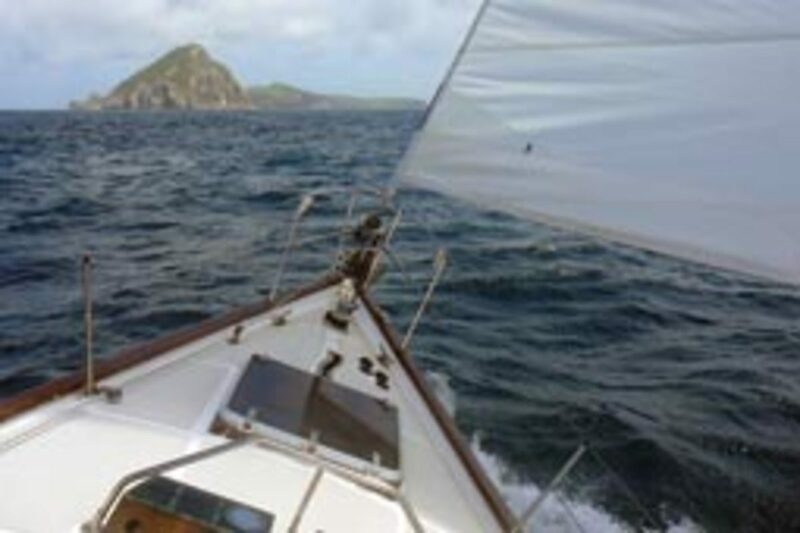 They didn&apos;t want to anchor off the Horn, for obvious reasons, so friends sailing with them on another boat sent crew over to tend Obelisk while they went ashore in the dinghy, and they did the same for that boat. They went back around Cape Horn east to west - the "wrong way" - flying the spinnaker and continued up the west coast using the Beagle Channel. The night before they were to enter the Straits of Magellan to continue the long northerly trip, they anchored in a caleta, where their transmission failed. The problem was caused by an internal coupling component. They needed a 1-inch fine-thread nut to repair it (hopefully), but as boating luck would have it, they could find only a 1-inch course-thread nut on board. This left them with the option of sailing back down the Beagle for several days in tricky channels or sailing four miles out to the Pacific and up the coast on the outside. The inside trip would have included running at night. It would be difficult enough to sail in the Beagle, but it would have been dangerous to sail in and out of the caletas for overnight anchorages. They chose the open Pacific. 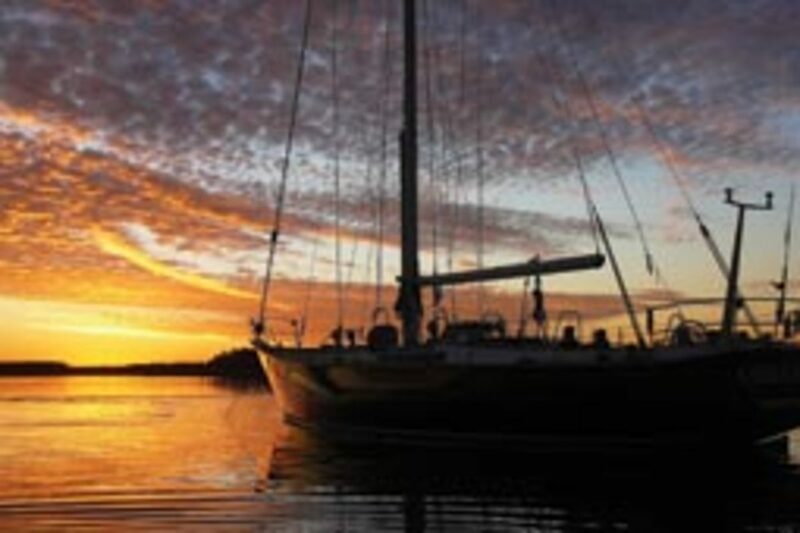 Under sail they exited the extremely narrow caleta where they had anchored, tacked to the ocean and began the 1,400-mile sail up to Puerto Montt, Chile. Because of the notorious lee shore, they first put 200 miles of sea room between the boat and the coast. They knew they&apos;d made a very wise decision when a huge low with hurricane force winds enveloped Obelisk. They survived under storm sail and triple reefed main, with waves breaking over the boat. 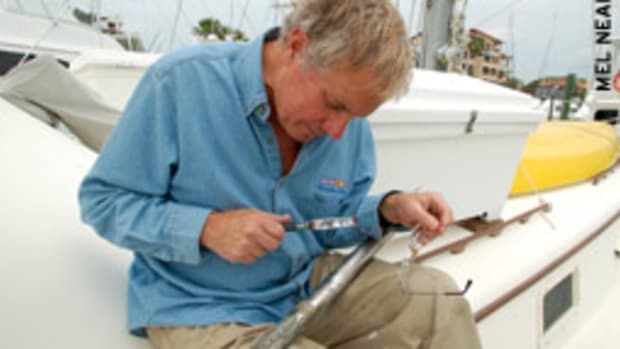 The dodger was ripped off, tearing the frame mounting bolts out of the boat. A wave breaking over the transom broke the welds on the rugged mount for the Aries windvane. The mainsail shredded near the end of the storm, so they lay under bare poles and repaired what they could. The wind finally moderated and shifted southwest, giving them a beautiful five days genny run, averaging 8 knots for 800 nautical miles. They left the boat in a marina in Puerto Montt, prepped for winter and under watch by cruising friends. This story was told to me mostly by Jesse, through words and pictures. As I write this, he is back in the States working hard to get enough money to go back and continue. It may seem like we&apos;re leaving this story in the middle, the end still to be lived. But the story within the story is that these people did what they dreamed. They did it by research, education, careful planning, common sense, hard work, good seamanship, and learning how to take care of things themselves. The sea requires that of our dreaming. There were many more adventures and details than I&apos;ve had space to share here. Go to www. svobelisk.com for details and to contact Obelisk.